Our Father in heaven, hallowed be your name (Matt. 6:9). The average Christian struggles with prayer. Many view prayer with cynicism. In his book A Praying Life, Paul Miller confesses, “Personally, [cynicism] is my greatest struggle in prayer. If I get an answer to prayer, sometimes I’ll think, It would have happened anyway. Other times I’ll try to pray but wonder if it makes any difference.” What are some other reasons for our struggles with prayer? Miller also writes, “Jesus does not say, ‘Come to me, all you who have learned how to concentrate in prayer, whose minds no longer wander, and I will give you rest.’ No, Jesus opens his arms to his needy children and says, ‘Come to Me, all who are weary and heavy-laden, and I will give you rest’ (Matt. 11:28, NASB). The criteria for coming to Jesus is weariness. Come overwhelmed with life. Come with your wandering mind. Come messy” (A Praying Life). 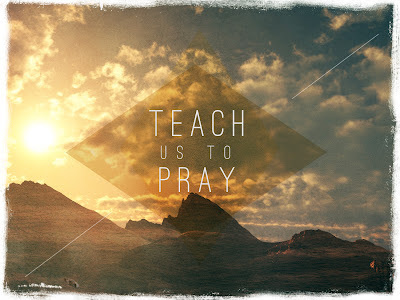 How does this approach to prayer encourage us to pray and keep on praying? Read Matt. 6:5-8. In these verses, Jesus forbids two kinds of praying. First, we are not to pray to impress others. “The public versus private antithesis is a good test of one’s motives; the person who prays more in public than in private reveals that he is less interested in God’s approval than in human praise. Not piety but a reputation for piety is his concern” (D. A. Carson, “Matthew” in The Expositor’s Bible Commentary, 165). Second, we are not to pray thinking long or repetitious prayers persuade God. “Jesus is not, of course, forbidding long prayers; he himself on occasion could pray all night (Luke 6:12) and on one occasion he taught his followers ‘that they should always pray and not grow weary’ (Luke 18:1). Nor does he forbid repetition, for in Gethsemane he repeated his prayer (Matt. 26:39-44)” (Leon Morris, The Gospel According to Matthew, 142). There are six petitions in “The Lord’s Prayer”: the first three concern God’s glory (“your… your…your”); the last three concern our good (“us…us…us”). Scholars often debate why there are many differences between Matt. 6:9-13 and Luke 11:2-4. “The reasonable explanation is that Jesus taught this sort of prayer often during his itinerant ministry and that Matthew records one occasion and Luke another” (Carson, “Matthew,” 168). Read Eccles. 5:2; Heb. 4:16. God is “our Father” and he is “in heaven.” Our prayers should be characterized by both love and reverence. “We address God intimately as ‘Father,’ but we immediately recognize his infinite greatness with the addition ‘in heaven’” (Morris, The Gospel According to Matthew, 144). Notice also that God is addressed as “our Father,” not “my Father.” This prayer was meant to be prayed in fellowship with other believers, not in isolation. The first petition of “The Lord’s Prayer” is that God’s name be “hallowed” (treated as holy). God’s “name” is God himself. David Turner writes that “the three ‘your’ petitions are essentially one, the final phrase of Matt.6:10, ‘on earth as it is in heaven,’ describes all of them, not just the third” (Matthew, 187). He goes on to say, “Matthew 6:9-10 convincingly shows that one should not pray primarily to receive goods and services from God but to render service to God. Prayer is not first and foremost an exercise to vindicate the disciple’s causes, meet the disciple’s needs, fulfill the disciple’s desires, or solve the disciple’s problems. Rather, one’s priority must be the promotion of God’s reputation, the advancement of God’s rule, and the performance of God’s will. These three petitions are essentially one expression of burning desire to see the Father honored on earth as he is already honored in heaven” (ibid.). Jesus wants us to come to “our Father” like little children. He once said, “Whoever humbles himself like this child is the greatest in the kingdom of heaven” (Matt. 18:4). How can we be more childlike in our prayers? If Jesus felt he needed to pray, so should we! “If you are not praying, then you are quietly confident that time, money, and talent are all you need in life. You’ll always be a little too tired, a little too busy. But if, like Jesus, you realize you can’t do life on your own, then no matter how busy, no matter how tired you are, you will find the time to pray” (A Praying Life). What are some changes we can make to our lives to help us devote more time to prayer?